Proven Match Blog - National Small Business Week is Here! 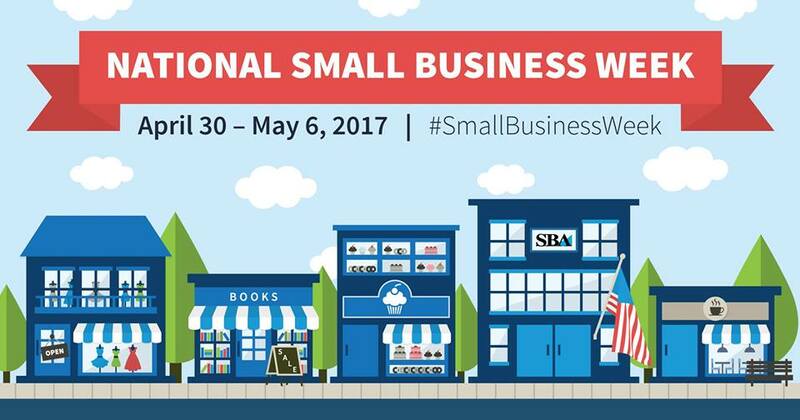 National Small Business Week is Here! Though it may have escaped your immediate notice, National Small Business Week (2017 edition) is already here! It runs from Sunday, April 30 to Saturday, May 6 and is hosted by the Small Business Administration (SBA). National Small Business Week has been celebrated each year since 1963—and for good reason. Small business is literally the backbone of our country’s economy. According to the SBA’s own statistics, more than 50 percent of Americans either work for—or own their own—small business. Small business is also responsible for creating two out of every three jobs. On Tuesday, May 2, the Small Business Association will be doing a Facebook Live event, where you can join SBA Administrator Linda McMahan and Facebook’s VP and Chief Privacy Officer for Policy Erin Egan questions. They will also host a chat on the best ways to grow a small business. On Wednesday, May 3, get your motor running, because the SBA is rolling into Speedway, Indiana, home of the Indianapolis Motor Speedway for a tour stop. Racing is a very entrepreneurial business and several team owners will discuss how they got their start in the multi-million dollar business of high speed. On Thursday, May 4, the Small Business Association road tour continues with a stop in Arlington, Texas, home of the MLB Texas Rangers. But they won’t be talking baseball. Administrator Linda McMahan will be talking with the president of QMF Steel, a local success story. QMF Steel is the 2017 recipient of the SBA Contractor of the Year. On Friday, May 5, the SBA road trip winds down on the west coast with a stop in Fresno, CA. Fresno is located at the center of one of the largest crop growing regions in the entire U.S., providing many of the fruits and vegetables destined for our supermarkets. Fred Ruiz of Ruiz Foods will be on hand to discuss with McMahan how his small business became a success. Running concurrently with the Small Business Association’s road trip in search of entrepreneurial success, there is a webinar series which you can log into right at your desk. Each day of the week provides a different topic including the U.S. economic outlook, growing your business online, the future of small business innovation, and finding hidden funding sources to make your entrepreneurial dreams come true. You can tune into the full slate of webinars on the SBA’s website. And they’re archived so that you can go back and watch them if you don’t catch the live webinar broadcast. If you’re a small business owner, a budding entrepreneur or even a future business magnate, the 2017 National Small Business Week has something for everyone. Look for the ways that these news and noteworthy events might inspire you to be a part of this glorious week.